At Fairphone, we’re working to apply our principles for fairness to every part of our phone - including the software. This website is your starting point for learning more about our open source activities and how you can be a part of it. 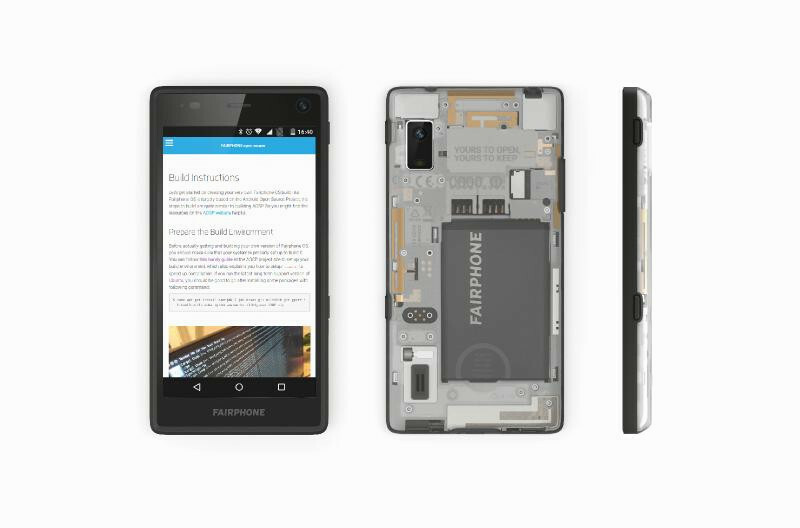 Here you can download the source code, drivers and get information on how to build the Fairphone Open—the open source version of the Fairphone 2 operating system. In future you will also find instructions on how to contribute, ready-to-use builds (maybe including your contributions :), and information on other Fairphone open source projects. If you want to try out Fairphone Open check out the installation instructions. There you will find everything you need to install Fairphone Open on your Fairphone 2. Please read the Fairphone OS Build Instructions to learn more about getting started and building the Fairphone Open. For any questions or comments, head over to the Fairphone forum and leave us a message or start a conversation with other members of our great community. You can also join the conversation on IRC in the #fairphone channel on freenode.